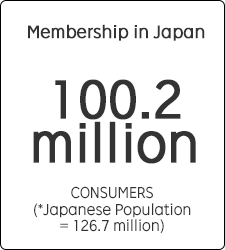 Rakuten has over 100 million members in Japan alone which is nearly 80% of Japanese population. Overseas sellers can tap into one of the largest customer base online. 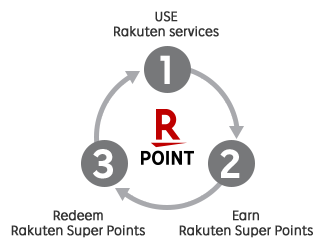 1% of purchase spent in Rakuten is redeemed as Rakuten Super Point to purchasers. 1 point is equivalent to 1 yen in value. Rakuten users can use and save the point not only in Rakuten's online shopping site, but also in group company services such as online travel and even in real stores like McDonalds. This unique loyalty program attracts new users and retains in the ecosystem. 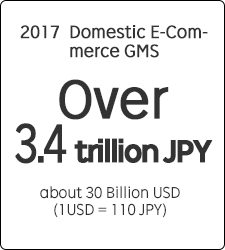 Rakuten dominates the online market in Japan. 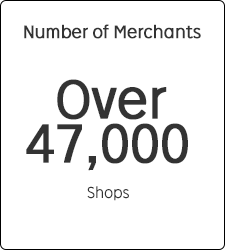 It has over 25% of online B2C market and 30% + in categories such as apparel, food, and household accessories. A dedicated E-Commerce Consultant (ECC) will be assigned to your shop to maximize your potential on Rakuten. ECC will provide the latest market trends and tailor sales strategy for you. Rakuten is a shop centric marketplace in which merchants can control their own storefront, product pages, and customer experiences. Merchants are able to conduct CRM activities to first time purchasers and nurture them into repeaters. It takes about 1.5 months to begin set up everything and start selling in Rakuten. Please contact us for more details becasue requirements may vary depending on the origin country. Onboard consultant team specialized for overseas business will guide you to prepare materials to submit for company screening. Once you pass the screening, you can begin creating a store in Rakuten. The shop-open adviser will help you set up. A dedicated E-Commerce consultant works along with you to plan actions to achieve your sales goal. If you are a U.S. entity, you may choose from two plans below. *Affiliate fees are bound to charge based on sales which come from our affiliate service partners. The fee is calculated based on the affiliate fee table. Please ask more about it to Rakuten sales representative. Sellers without a Japanese or US entity need to sign a contract with service partners approved by Rakuten. The third party partners will act as your local team to help you set up Rakuten store and provide operational support. If you have a Japanese entity, you may choose from one of four plans below. Goods can only be shipped from a warehouse in Japan.